Miss Rochdale has suffered a fall from grace which is by no means her fault. Her father gambled away his fortune and killed himself, leaving his family to bear the disgrace. Rather than be an unpaid drudge to relations Elinor has decided that she would rather be paid for her endeavours and has embarked on life as a governess. She is on her way to take up a place with Mrs Macclesfield, a woman who Elinor doesn’t have high hopes of. When a servant enquires whether she is the person who has come in response to the advertisement, she assents, and gets into the carriage. The advertisement being referred to was for a lady to be the bride of Eustace Cheviot, a dissolute young man on a ruinous path. The advert was placed by his older cousin, and heir to his estate, Lord Carlyon, who is doing his best to wash his hands of his troublesome relative; once Cheviot is married, the terms of his grandfather’s will means that he can dispose of his estate as he wishes, and Cheviot’s relatives will no longer have reason to gossip about Carlyon. One reason I think that this isn’t a more universally liked Heyer is its heroine. Personally, I really like Elinor. I’ve seen her described by people as a whinger, but I think that’s very unfair; she has a quite ironic and dry sense of humour that some people don’t catch, or don’t care for. I have a lot of sympathy for her too, she’s been pushed into a situation that she’s very uneasy about, having ‘sold’ herself into marriage, and she naturally feels uneasy about it. I also sympathise with her feelings towards Carlyon, who would annoy me with his high-handedness, and while I like that he’s very level-headed, he’s also not one for making politely sympathetic speeches! “Yes, certainly I knew of it, but I thought it had been closed these many years,” he replied. “I was afraid it might add to your distaste of the house,” he explained. Another thing I liked about this book were the dog scenes. If you’ve ever read a Heyer which has a dog (such as Frederica or Arabella) you may have also enjoyed these, as they are usually humorous. If I had any issues with this book it would be that the romance is quite low-key, but on the other hand, there are so many amusing speeches that it makes up for that. As I said, this is amongst my favourite Heyers. It’s hard for me to rate, because I tend to rate Heyers against each other rather than on their own merits. Against most books it’s a five star read, but against other Heyers it’s a 4½. The audio version, narrated by Cornelius Garret, is an excellent listen. I had heard that his Heyer narrations were good and so I had high hopes. He is quite plummy, which I liked. His Carlyon is quite staid, but Nicky is rightly enthusiastic. My favourite characters were, without doubt, Miss Beccles (Elinor’s old governess, who comes to Highnoons as Elinor’s chaperone), who is voiced as a bit of a fussy old lady, and the foppish Francis Cheviot, the cousin of Eustace. I had to stop the book once we first met Francis Cheviot, so I could take a minute to really savour the voice he was given! I can’t tell you how much the narration added to my enjoyment of the story. I understood Elinor’s humour from the written version, but it was made even clearer in the audio. I would highly recommend this audiobook, it’s an easy five star listen. I followed up my listen with watching the 1950 film of The Reluctant Widow. 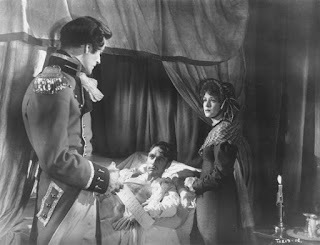 This was the only one of Heyer’s books made into a film (in English, although I think there was a German film made of Arabella). 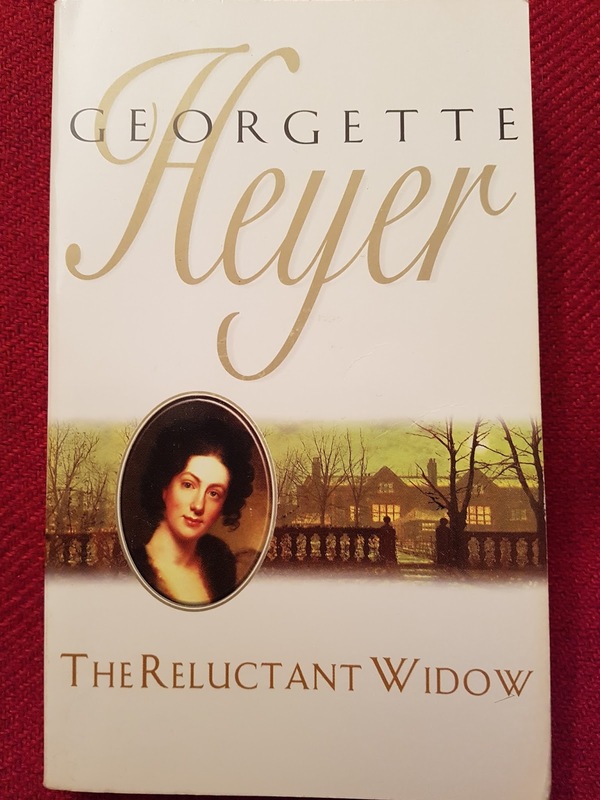 Apparently, Heyer was so disgusted with it that she refused to allow any of her books to be adapted and to be fair, having watched this, I can’t blame her. It’s terrible. The story has been changed and is in many places entirely unbelievable, in terms of plausibility, legality and bearing in mind the rules of society at the time. The main characters are entirely unlikable, Elinor is avaricious, jealous and dull, Carlyon is ungentlemanly, Francis has had all humour stripped away and Becky and Nicky made into very minor characters. Some of my favourite scenes were entirely done away with and absolutely none of the charm and wit of Heyer’s writing has been preserved, so really, there is no point in watching it. I had heard this was bad and watched it out of curiosity so I can only blame myself. It’s available to watch on Youtube but I wouldn’t bother. It’s not bad enough to be funny, just to be a waste of time to watch it. It gets an ungenerous one star from me! There are whispers afoot that there is now a possibility of an adaptation (or maybe even more than one!) being made of a Heyer. I’d love to think that a version could be made that could do justice to her books. She wrote such witty dialogue that you can’t help but feel that they could adapt well to the screen. Let’s keep our fingers crossed! Am delighted that you loved TRW so much! 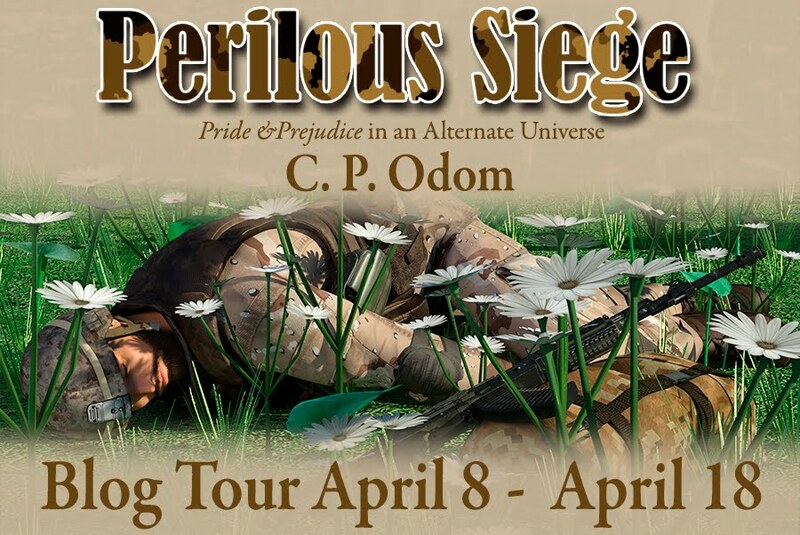 You remind me of myself,when I'm working,I'll listen to P&P,Persuasion or Emma. If I'm still in the mood,I might treat myself and watch the '95 version of P&P. You were very lucky with the audio version of this book,as so much depends on the narrator's voice and their love for the characters and story they're depicting. 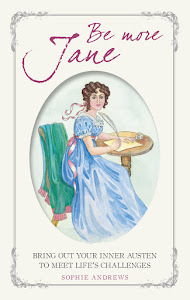 I must admit that I've never had the pleasure of reading a Heyer book. I've heard great things about specific ones,but haven't read any. I might rectify that before the end of the year. Thanks so much for sharing your love of this most treasured book! 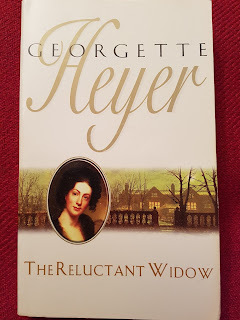 Yes, Happy Birthday, Georgette Heyer! 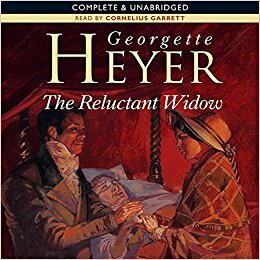 I was glad to see that you picked to do an audio review for The Reluctant Widow. I was pleased with it as a print story, but I thought the audio really brought out all the shine in it. I'm curious about the movie because its the only one, but I've avoided it because no one seems to like it that's read the books. I completely agree, Sophia. I love the print version but I think the audio raised it even higher. I was very impressed with it. Another one which I loved the audio of was The Unknown Ajax - it was just so good on audio! SO sorry the adaptation was so bad, and you're right, lets keep our fingers crossed for some good ones. There are lots of Heyer's books that deserve great adaptations. Apparently 'they' (whoever that might be) thankfully threw out the idea of making 'The Grand Sophy' a spy story and are now working on the idea of a straight adaptation of it. I would love to think so. You have such a treat ahead of you if you've have lots of unread Heyers, Sheila, they are well worth making reading time for.